I recently discovered this new make of brushes called Eco tools. Well they have been around for a while, but I was going to invest in some mac brushes when my sister suggested these and let me tell you they are amazing (so far). I actually love using these brushes. The bristles are soft and they are surprisingly cheap! I have read reviews and apparently they are better than sigma brushes but I am still thinking about getting some sigma brushes just to compare, so i'll keep you posted on that. These bamboo applicators are new to the site are next on my list of things to buy. They look really cute and having tried their other brushes i don't think i would be disappointed. You can buy them off Amazon or your local boots, so i have heard. The brushes above are their new limited edition kabuki brushes. They look sooooooo cute! I am definitely going to try all their products as they do bath brushes and scrubs as well. The Kabuki brush above looks good too. The thing I also like about Eco tools is that they are members of 1% for the planet. Ok, i am not exactly the eco friendly crazy person but i do try my best. Considering the quality of these brushes the fact that it is helping the environment is a plus! 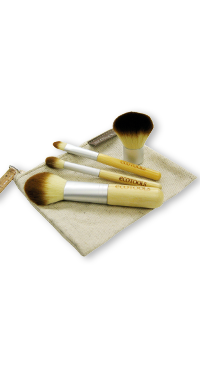 EcoTools® cosmetic brushes are what started it all! 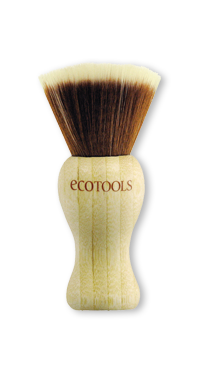 The iconic look of the sleek bamboo, gorgeous recycled aluminum and incredibly soft bristles are only part of what makes EcoTools, EcoTools. Our cosmetic brushes are beautiful and show respect for the earth. 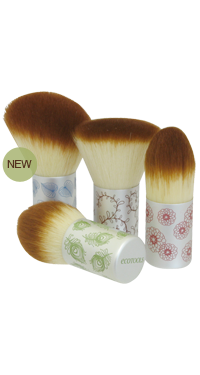 They are 100% cruelty-free, have incredibly soft bristles made of synthetic taklon and have handles made of bamboo and recycled aluminum ferrules. Hope you enjoyed it. Let me know what brushes you use and if you do try these or have tried them...What do you think of Eco tools? P.S I do apologize about the quality of my pictures at the start, I have forgotten my camera at home! Having withdrawal symptoms without it!